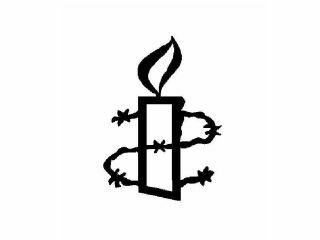 Amnesty International is urging ISPs to do more to protect free speech online. At ISPA 's annual UK Internet Industry Awards last week, the human rights group criticised companies such as Google, Microsoft and Yahoo for their continued "bidding of the Chinese authorities", stating that actions such as censoring search results are helping to deny "people in China their basic rights to freedom of expression and information". Amnesty's campaigns director, Tim Hancock, said: "Some governments fear the spread of information, the free exchange of ideas and independent expression. The internet is the means of delivering it. It's a forum for freedom and that's why the authorities in many countries seek to constrain it." Hancock urged ISPs to be more responsible: "Web users and service providers alike have a responsibility to keep alive the things that have made the internet great - its democracy, its freedom and the way it gives people access to knowledge and the opportunity to participate and be heard, in a way that was unthinkable 45 years ago." Last year, Google launched a censored version of its search engine for the Chinese market, which it later said "may have been a mistake". Amnesty has previously accused Cisco of helping China create an online filtering system that prevents its citizens from accessing certain websites. It has also criticised Yahoo for helping the Chinese government to catch cyber dissidents. The chair of the ISPA council, Jessica Hendrie-Liaño, said the ISPA was "in regular dialogue with the UK government, NGOs and other stakeholders regarding online content" and was "pleased to be in a position to offer Amnesty International a platform to encourage freedom of expression on the internet around the world'.